Come with the family and be entertained nightly with musical performances and light shows. 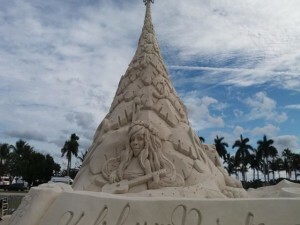 Visitors and locals alike are delighted by this huge Sand Christmas tree “Sandi”. 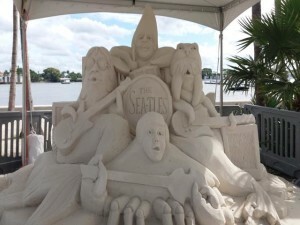 This yearly event features Sandi the 35 foot 700 ton sculpture made entirely of sand. 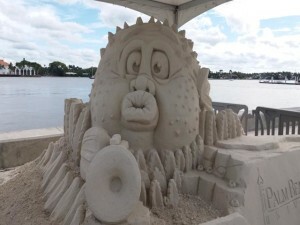 For 2018 Sandi features Merry the mermaid along with her dog Duke and several carvings all around the tree. 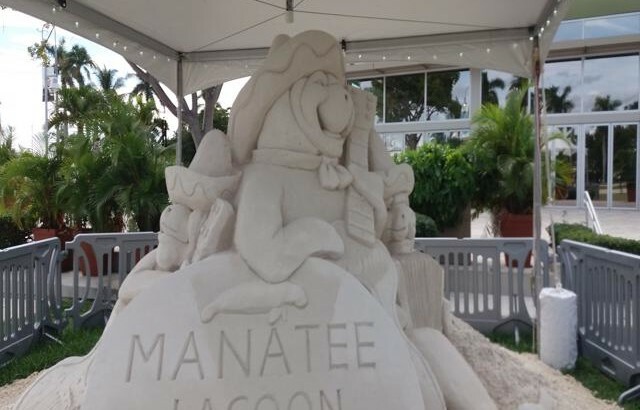 Also several smaller whimsical sand sculptures are placed at different locations in Sandi Land. Sandi introduces her new friend, Merry the Mermaid, as she makes her 2018 debut in a spectacular synchronized light and music show featuring Sandi’s Merry Melody. Clematis by Night will feature Jerry Wayne’s Private Party Band to get the party going. Kids can visit Santa in Sandi Land. Shop the special Holiday Boutique in the Lake Pavilion and purchase Sandi Bling to glow with Sandi’s light shows all season long. 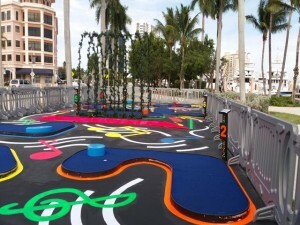 Events - Entertainment, Parks in WPB. permalink.